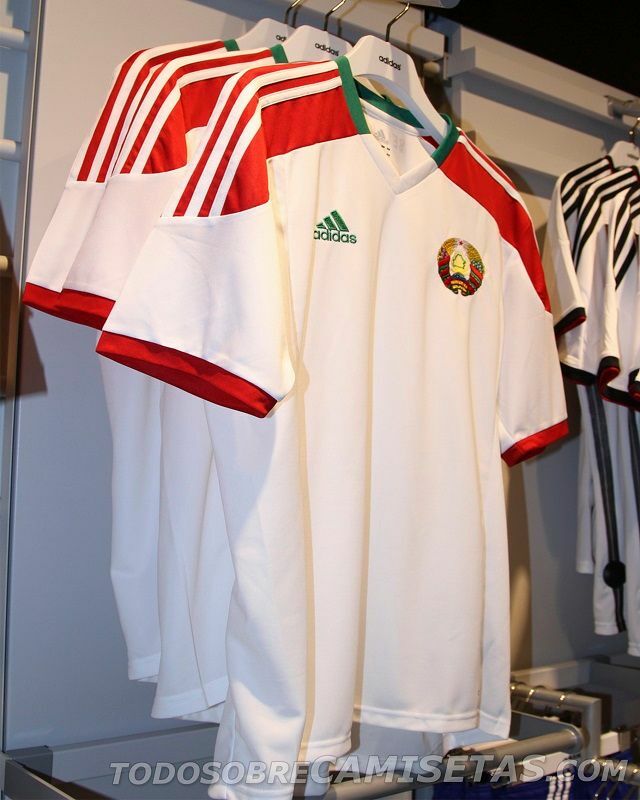 Let’s get to Belarus to see thir national football team new Adidas kits. The three stripes brand has providem them with two kits from their catalogue; home white kit with V neck plus green for it’s sides, also using red over the shoulders and cuffs of the shirt. Their away kit is mainly red, with white details on the collar and sleeves, completed by shorts and socks of the same color. Goalkeepers will wear a green uniform based in the world cup template designed by Adidas for the ones protecting the goal line. What are your thoughts on these jerseys? Woulf you rather prefer a small brand providing more customized designs?